It was the most off-camber, hard-right, at-speed corner of a descent ever ridden. Nearly blew it, grazing the guardrail before the steep left at the bottom. Dropped into the small chainring, shifted up the cassette, and pedaled hard out the other side to the rest of the descent. 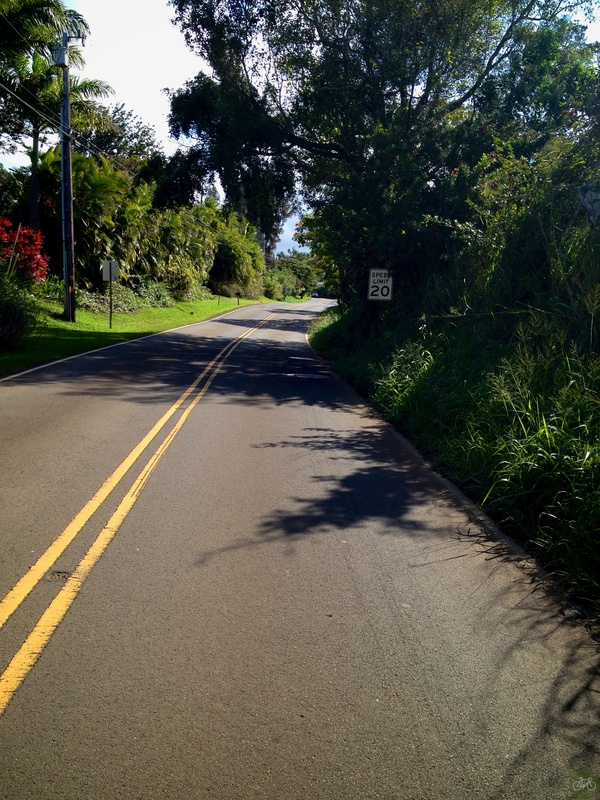 The corner of Kaupakalua Road and Lepo Street is challenging and we’ll ride it again on the Haiku Loop. Haiku is a center for churches, hippies, and spiritual people on Maui with homes tucked away in the trees. We ride there on quieter roads with steady climbs and twisty descents. In town, snack on delicious mochi butter with a side of shave ice. Get the mochi at the grocery store next to the Haleakala Bike Company. 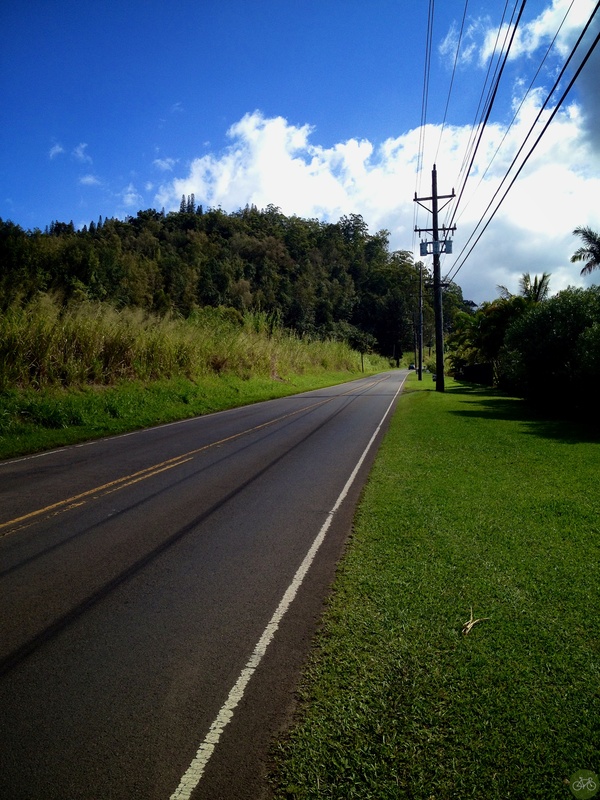 You’ll see tourists on HBC’s bikes bombing the volcano descent. Back in town, it’s a tradition to recovery from the ride with a beer and nachos at Meligros and people watch. 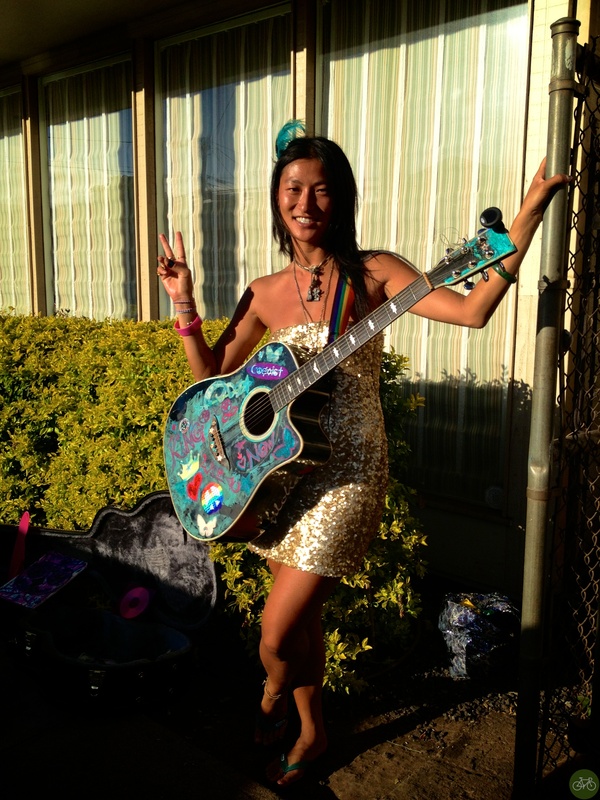 If she’s there busking, say hello to Angel Starlove and stop by Maui Cyclery. Note that Kokomo Rd (H-368) is less preferred by the locals as taking Baldwin ave up the climb instead. The pavement is smoother with a wider shoulder. Next Next post: The Sun Rose in Seattle—Happy New Year!